Rotating your tires on a regular basis will help to ensure a longer tread life, better gas mileage and smoother ride. 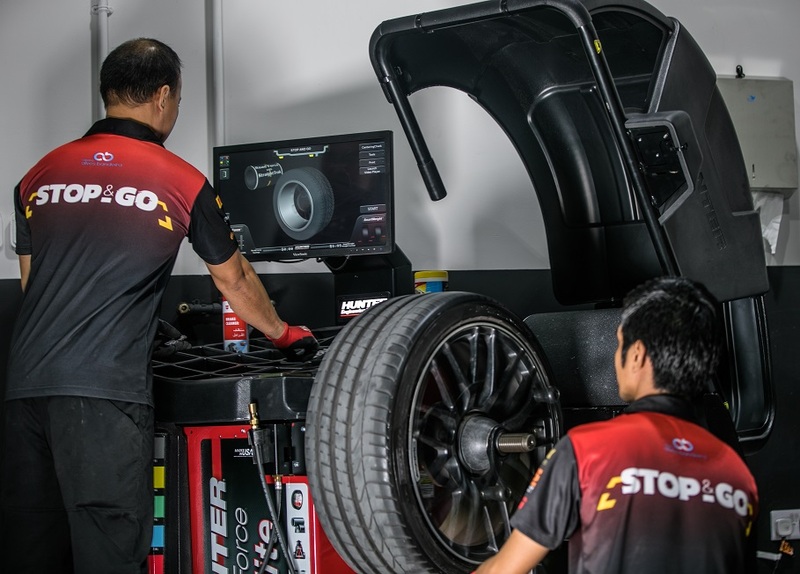 Stop & Go offers free tyre rotation to our customers who have purchased new tyres from us at every 10,000 kms. Scheduling a tire rotation is a quick and inexpensive way to maximize the life of your tires. Rotating your tyres leads to a prolonged tread life and promotes even tread wear for all tyres on your vehicle, which will lead to improved gas mileage, increased tyre performance and an overall smoother, more comfortable ride. We recommend rotating your tyres at the recommended frequency by your vehicle’s manufacturer. Your Stop & Go service associate can help you determine if your tyres have any signs of uneven wear.